Jacques-Louis Monod (born February 25, 1927) is a French-born, American-naturalised composer, pianist and conductor of 20th century and contemporary music, particularly in the advancement of the music of Charles Ives, Arnold Schoenberg, Anton Webern and uptown music in New York City. Monod was born in Asnières (now Asnières-sur-Seine), a northwestern suburb of Paris, to an affluent family of privilege and of French Protestant affiliation. Early indications of his musical prowess came when he enrolled in 1933 at the Paris Conservatoire National Supérieur de Musique as a child prodigy at the age of six, under the official minimum age of nine. Monod would attend the Paris Conservatoire intermittently but remain registered for nearly 20 years, obtaining his Doctorat from the Paris Conservatoire in 1952. Monod's teachers at the Conservatoire were Yves Nat and Olivier Messiaen; including master classes under the visiting conductor, Herbert von Karajan; he also studied with his godfather, Paul-Silva Hérard, the organist at Paris's St. Ambroise Church. A decisive turning point for Monod occurred in 1944 and at the age of 17, when he took private lessons in composition and theory for five years, subsequently remaining a lifelong supporter and president of an association promoting the music of the French composer and conductor René Leibowitz, an Webern disciple and émigré from Warsaw, Poland (rumor has it that during the German occupation of France, which lasted until December 1944, the young Monod surreptitiously brought food to Leibowitz, a member of the French Resistance). Leibowitz, who was an outsider among the French musical establishment, and a major catalyst in the promotion of Schoenberg's music and in the subsequent development of serial music in Paris after WWII, became Monod’s principal teacher and mentor within a circle of devoted pupils, including Jean Prodromidès, Antoine Duhamel, Pierre Chan, Michel Philippot, Serge Nigg, André Casanova, Claude Helffer, and for a brief period, Pierre Boulez. Monod's debut (1949) as a pianist took place in Paris at a concert organized by Leibowitz for Schoenberg's 75th birthday. His performance in the European premiere of Schoenberg's Phantasy for Violin and Piano Accompaniment, Op. 47, missed being the world premiere by only a few hours (the world premiere took place in Los Angeles on September 13, 1949, with Leonard Stein on piano and Adolf Koldofsky on violin). Soon after Leibowitz’s earliest travels to the United States (first in 1947 to visit Schoenberg in Los Angeles), Monod followed, accompanying Leibowitz to New York City in 1950. Whereas, the noted pianist Charles Rosen claims to have heard Monod perform Milton Babbitt's The Widow's Lament in Springtime as early as 1945 or 1946 at Princeton (Rosen 1976, p. 37)—and yet the work was not composed until 1951. At a time when the musics of Schoenberg, Berg, and Webern were least performed in America, Monod was among their earliest champions. He spent much of the 1950s as a pianist, performing works of the Second Viennese School for piano and voice, similar to the careers of pianists E. Steuermann; P. Stadlen; C. Helffer; Paul Jacobs; the Viennese pianist, Karl Steiner; and the American pianist, L. Stein. Under the direction of Leibowitz, Monod performed and recorded the piano part of Berg's Chamber Concerto and Schoenberg's Ode to Napoleon Bonaparte, Op. 41; and more importantly, Monod also performed on historic recordings of chamber music by Webern for the Dial Records label in the early 1950s (a label founded by Ross Russell, who also produced historic jazz recordings of Charlie Parker, Max Roach and Miles Davis), including the earliest recordings of Webern's Symphony, Op. 21, conducted by Leibowitz with the Paris Chamber Orchestra; the Concerto for nine instruments, Op. 24; the Variations for Piano, Op. 27, performed by Monod; the Four Songs, Op. 12, performed by the American virtuosic soprano Bethany Beardslee with Monod on piano; and the Quartet for tenor saxophone, clarinet, violin, and piano, Op. 22. On Dec. 18, 1950, Monod performed in a special concert of Alban Berg's chamber music at Juilliard, featuring the American premiere of Berg's Two Songs (unedited extract from Die Musik 1930) with Ms. Beardslee. The duo also performed Berg's Seven Early Songs (1905–08) and Four Songs, Op. 2 (1908–10). Monod also promoted other musics in addition to the music of the Second Viennese School: on January 24, 1954, The Three Japanese Lyrics, composed by Igor Stravinsky in 1912–13, received their Carnegie Hall premiere in Carnegie Recital Hall (now Weill Recital Hall) with Ms. Beardslee, soprano; the pianist Russell Sherman; and a chamber ensemble conducted by Monod. Also evident during Monod's residency in the USA was his extraordinary analytical ability: while attending a Columbia graduate 20th-century-music seminar taught by the Varèse disciple Chou Wen-chung, Monod's cogent analysis of Varèse's Ionisation led to his teaching the remainder of the course. Monod's studies at Columbia University during the 1950s would eventually lead by the early 1970s to an Associate Professorship position at Columbia's music department, wherein Monod with the former Schoenberg pupil and specialist in medieval music theory, Patricia Carpenter, were instrumental in establishing the department's undergraduate and graduate core curricula. Beginning in the early 1950s, Monod directed American premieres of many works of Anton Webern, assisting Richard Franko Goldman (of Goldman Band notoriety) in directing the first all-Webern concert in the USA, which took place in New York City on May 8, 1951, and included the world premiere of Webern’s Five Canons on Latin Texts (Moldenhauer and Moldenhauer 1975, p. 713). On March 16, 1952, Monod gave the world premieres of Webern's Three Traditional Rhymes, Op. 17, and the Three Songs on Poems of Hildegard Jone, Op. 25, all with his then wife, Ms. Beardslee, with whom for years, they gave critically acclaimed concerts of new music with the Camera Concerts under Monod's directorship (Moldenhauer and Moldenhauer 1975, pp. 713, 717). Hermann Scherchen (with an introduction by Pierre Boulez) premiered Edgard Varèse’s Déserts in Paris on January 20, 1954; while Monod gave its American premiere at Town Hall in December 1955, with Varèse controlling the Ampex tape recorder. In 1956, Monod received an Award from the American Academy of Arts and Letters for his creative work in music. Many of Schoenberg's and Webern's disciples had relocated to Great Britain during the 1930s as a result of the rise of National Socialism (e.g., E. Wellesz, E. Stein. W. Goehr, R. Gerhard, T. W. Adorno, K. Rankl, L. Spinner, E. Kraus, E. Spira, etc.). In 1960–67, "during his seven years as the conductor for the BBC Third Program, he [i.e. Monod] presented a live concert broadcast of new music every Tuesday throughout the concert season. Each program was different and was broadcast internationally to a wide listening audience...[Monod] has conducted major orchestras and chamber ensembles in Europe, Scandinavia, and North and Central America" (Equinox Music CD 0101 Liner Notes). A notable performance took place on Tuesday evening, December 21, 1965 with Monod conducting the British premiere of Kurt Weill's school opera composed in 1930, Der Jasager, based on a libretto by Bertolt Brecht and after a Japanese Noh-play, as reported by David Drew (1965). In 1975 he founded, and for 20 years served as president of the Guild of Composers, a New York-based group that produced concerts of "uptown" contemporary music. At the Guild of Composers concerts, which often took place at Columbia University's Miller Theater, performances included the music of Elliott Carter, Arthur Berger, Claudio Spies, Mario Davidovsky, Seymour Shifrin, Earl Kim, Donald Martino, George Edwards, Robert Helps, David Lewin, Fred Lerdahl; and Milton Babbitt, who composed an earlier work, Du, dedicated to Monod and Ms. Beardslee. During 1995–2000, concerts of the Guild of Composers were directed by the Monod protégé, the Princeton- and Columbia-educated American composer and conductor, Daniel Plante. Monod was a major proponent in New York City of "non-experimental" serialism, promoting the music of American composers from the so-called Columbia-Princeton "axis" (and to a lesser degree from Harvard) at the Guild of Composers concerts. The music performed for 25 years at the Guild of Composers concerts exemplified an ideological view that contemporary American music remains very much a part of the Western polyphonic tradition. Roughly speaking, my experience has proved that you need at least one hour of rehearsal for every minute of music. Less than that, and you cannot do justice to the piece. You also need good players—ideally, I prefer musicians who have worked together, and who have worked with me before. I have a very short fuse when I have to waste time on elementary things. And if possible, I like to use my own marked scores and parts. I'm talking about an ethical approach to performing, and the conditions that justify the performance of a work. If someone asks me to conduct, but cannot give me the conditions I need, well, it's very easy for me to live without conducting. His promotion of Schoenberg include a notable performance in the early 1980s of Schoenberg's Pierrot Lunaire, Op. 21, with commentary by George Perle. Monod's music is published by the Jerona Music Corporation. There are three phases of development in Monod's oeuvre: first, his initial education in Paris during the 1930s and 1940s, bearing distinctively French influences and characteristics as to his role in the origins of serialism in France (e.g., extensive training at the Paris Conservatoire, including studies under Messiaen and later, private studies under Leibowitz); followed by his relocation abroad during the 1950s and 1960s to NYC and London as a pianist and conductor of the New Music, with the advancement of music by composers of non-French origins, particularly American music (e.g., C. Ives, E. Carter, M. Babbitt and S. Shifrin) and the music of Schoenberg, Webern and the serial movement (e.g., A. Berg, A. Webern, R. Gerhard, E. I. Kahn, L. Spinner, E. Krenek, L. Nono, et al. ), including the music of a fellow émigré, Varèse; and thirdly, his own musical legacy as a composer and pedagogue at music schools in the Northeast during the 1970s and 1980s, primarily at Columbia University and at the Guild of Composers concerts with the advancement of a post-Schoenbergian generation of "non-experimental" polyphonic music by American composers—many who were directly associated with Monod. Monod’s music is based upon historical precedents of Webern’s music and represents the French school of post-WWII serialism, combined with subtle lyricism. Among his early works, only the Chamber Aria (or the Passacaglia) from 1952 has been published. His doctoral dissertation, i.e. a second doctorate, was completed with distinction at Columbia in 1975 and assisted by the Princeton- and Columbia educated pianist-composer and a Babbitt-Monod disciple, Thomas S. James, consisting of a detailed exposition on the compositional premise of his seminal work, Cantus Contra Cantum II for Violin and Cello: music which represents a tour de force in rhythmic and serial complexity. It is dedicated to the violinist Rose Mary Harbison, wife of the composer John Harbison. Monod's music has been performed sparingly and has yet to be fully recognized. As in the music of Webern, there are no extraneous musical elements nor is there any degree of fortuitousness in Monod's rigorously composed music, which gives the discerning listener a means to distinguish musical relationships with aesthetically compelling results. The strict formal characteristics of his non-experimental and non-improvisational, highly controlled music requires superior technical abilities on the part of performers. Also noticeable in Monod's music is the apparent avoidance of strictly adhered row permutations, as originally advocated by Schoenberg. Moreover, the overly-mechanical and superficial aspects exhibited in some earlier works of integral or total serialism are entirely absent and circumvented in Monod's music; which as a result, provides listeners with lyrical attributes. Monod has set many of his works to texts by French poets, such as Éluard, Valéry, Renard and René Char (Steinberg 2001). The title for his extensive cycle of serial compositions composed during the course of the past forty years, namely "Cantus Contra Cantum", refers to the late-medieval concept of "line against line" as a progression beyond "punctus contra punctum", i.e., creating advanced music that is correlated to the development of modern Western polyphony: "music-synergy", wherein the interaction of two or more parts or voices in each work creates a combined effect that is greater than the sum of their individual effects. Monod's music is the subject of a doctoral study by New York-based composer Manuel Sosa's 2002 DMA dissertation for Juilliard, entitled, "Jacques-Louis Monod's Cantus Contra Cantum III : a preliminary inquiry". More recent performances took place in New York City during February 1987 and in March 1989 of his provocative, "Tränen des Vaterlandes—Anno 1636" (Cantus Contra Cantum IV), a four-minute choral work accompanied by "sackbuts", based upon "a gruesome poetic depiction of carnage and devastation by Andreas Gryphius...[the music is] stark but appropriate for the horrors described" (Rockwell 1989); and his two a capella works, Elergies, evoking "the ghost of Anton Webern...music as exquisitely beautiful as any this listener has heard in some time" (Page 1987). Monod has also edited numerous works for publication at Mobart Music Publications/Boelke-Bomart, Inc. (now part of Jerona Music Corp.) and Schott Music. These scores include Charles Ives' Central Park in the Dark, Hallowe'en and The Pond; and Schoenberg's Kol nidre, Op. 39 and the Three Songs, Op. 48; and two works that are arguably among Schoenberg's greatest works from his late period, namely the String Trio, Op. 45, and A Survivor from Warsaw, Op. 46; and Webern's Quintet for Strings and Piano. Monod's editions of Schoenberg's music have been described as the standard by which other [editions] are to be judged (Haimo 1984, ). In 1983, Monod edited and published at Mobart, "René Leibowitz 1913–1972. A Register of His Works and Writings". In 2012, Monod deposited a collection of his letters, music manuscripts, theoretical writings, etc. dating from 1952-1982 to Stanford University in the Dept. of Special Collections and University Archives, Stanford University Libraries, Stanford, Calif. Included are letters with the Schoenberg family, René Leibowitz, Elliot Carter, Milton Babbitt, Michel Philippot, et al. Over the years, Monod has also given private lessons to talented musicians, including those influenced by mathematics and the computer sciences: many occupy various professional positions in the USA and abroad in the areas of conducting, composition, and theory. Although a compilation of Monod's students haven't yet been written, details on his many students can be found throughout the Internet. He taught primarily in New York City at Columbia and at the Juilliard School with guest lectureships at Princeton, Harvard and Brandeis. Monod has also taught conducting to many who have specialized in this profession, including Peter Schubert, Michael Alexander Willens, Gilbert Levine, Markand Thakar, Joel Eric Suben, Peter Frewen, Rachael Worby, David Leibowitz, Richard Fletcher, et al. In 1975, Monod established a new music publishing firm, the Association for the Promotion of New Music (APNM), consisting of many works representative of the New York "uptown" movement and beyond. Monod, Mario Davidovsky, and Fred Lerdahl are Honorary Members of the Board with many former pupils of Monod's serving on the Board of Directors. Notable works include the music of Eduard Steuermann, Roger Sessions, Edward T. Cone, Arthur Berger, Godfrey Winham, Will Ogdon, Ursula Mamlok, Rolv Yttrehus, George Edwards, Philip Batstone, Robert Ceely, Mark Hagerty, et al. Monod has also edited music for APNM, including Godfrey Winham's Composition for Orchestra and Stephen Peles' Intermezzo for solo piano. Monod was previously married to the soprano Bethany Beardslee; and later, to a translator of German descent, Margrit Auhagen. His closest associates in America include the composers Earl Kim, Seymour Shifrin, Arthur Berger, Mario Davidovsky, Claudio Spies, and Malcolm Peyton; and in France, Michel Philippot. Monod is descended from one of the oldest families of the French (but of Swiss origin) Protestant bourgeoisie with a history since the Napoleonic Era of wide-ranging influences in French government, theology, the sciences and medicine, banking and the arts. 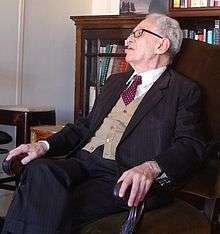 His great-great-grandfather Adolphe Monod was a noted pastor and theologian. His father Pierre Monod was a noted surgeon. His cousins include the naturalist Théodore Monod; the industrialist-politician Jérôme Monod; Jacques Lucien Monod, the Nobel Prize-winning biologist; the pharmacologist Daniel Bovet, who won the Nobel Prize in Medicine; and the French New Wave film director Jean-Luc Godard. Drew, David. 1965. "Weill's School Opera". The Musical Times 106, no. 1474 (December): 934–37. Haimo, Ethan. 1984. "Editing Schoenberg’s Twelve-tone Music". Journal of the Arnold Schoenberg Institute 8, no. 2:141–57. Moldenhauer, Hans, and Rosaleen Moldenhauer. 1975. Anton von Webern: A Chronicle of His Life and Work. New York: Alfred A. Knopf. Page, Tim. 1987. "Music: Guild of Composers Concert". New York Times (February 5): C14. Rockwell, John. 1989. "Composers Guild Program for Chorus and Organ". New York Times (March 30): C23. Rosen, Charles. 1976. "Homage to Milton". Perspectives of New Music 14, no. 2 / 15, no. 1 (Spring–Summer/Fall–Winter): 37-40. Schoenberg, Arnold. 1975. Style and Idea: Selected Writings of Arnold Schoenberg. Edited by Leonard Stein, with translations by Leo Black. New York: St. Martins Press; London: Faber & Faber. ISBN 0-520-05294-3. Expanded from the 1950 Philosophical Library (New York) publication edited by Dika Newlin. The volume carries the note "Several of the essays...were originally written in German (translated by Dika Newlin)" in both editions. Steinberg, Michael. 2001. "Monod, Jacques-Louis". The New Grove Dictionary of Music and Musicians, second edition, edited by Stanley Sadie and John Tyrrell. London: Macmillan Publishers.